Creating top quality leather gear and goods for over 25 years! and everything in between! Our leather Teddy Bears have been seen on national television and have brought thousands in fundraising auctions. One leather teddy bear was dress by Lou Boutine and brought in over $6,000 in auction at The Other Ball a fundraiser for Arms Around The Child! Other bears were dressed by some a fashions top designers and brought in thousands as well. Our guitar straps have traveled the world on stage with some top notch bands and have appeared in you tube videos as well. Our products have been seen in TV shows and music videos too numerous to name. Our products are guaranteed to last. Hand made with attention to detail. Treat yourself to good quality leather, you wont regret it. 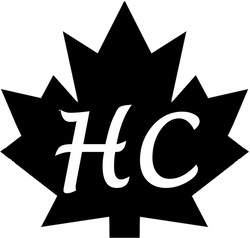 Here is a bit of HC history. with a hide of leather and a few hand tools. Back then our company name was Outrageous Creations. There have been a few changes since then! Not just the name! and have shelves of leather, sewing machines, and a shop full of tools! We bring top quality leather goods to you at an affordable price. Corporate and club orders welcome.